Shop Dutty Takeover: New Website Launch! THE DUTTY TAKEOVER IS HERE! As part of the Dutty crew it’s only right I let you know about Shop Dutty’s brand new and improved website launch as we are doing it the only way we know how – BIG. From in store discounts to live music and drinks we are inviting you to have a Dutty night in with us in the shop to get you all booted n’ suited for the night. Stocked with our very own gems, other independent designers and plenty of vintage, we have the lot for both women and men. Join us as we take the launch to a whole nother Dutty level with raffles* and laughter with the opportunity for you to win some free goodies. So if that’s not tempting enough then I don’t know to be honest. Maybe all you need is the Dutty Lifestyle in your life, so come along anyway! *raffle given to buyer after every purchase during the Launch from 6 – 10pm. Particularly interested in everything, the idea of Nocturnal, my Gold Arts Award magazine, came from my uncomfortableness towards the future and my inability to say no. I wanted a way to do everything I love – writing, designing, producing – without having to compromise myself in a society where we allow the media to dictate what we care about. Therefore, with my Gold Arts Award opportunity I wanted to produce something that could be an authentic voice and platform for people to showcase their obsessions with a two-way support. ‘Nocturnal’ came from my love and desire of becoming intimate with the unknown and holding it up like ‘hey, check this out, get in the know’ so others could see all the beauty, passion, and authenticity also. I’m a sucker for community and if you’ve got a passion for something, don’t be a stranger. The beauty of Dr Benjamin Barber’s talk was that he sparked and incited a passion within me about defining cities and democracy amid shining a light on how the private versus public space conflict affects both. He seamlessly lays the foundation of the ‘No Boundaries’ theme and how it does and doesn’t correspond with Session 5′s Internationalism theme. If you were following the #NB2014 Twitter feed you may have read my tweet: “Can’t quote @BenjaminRBarber fast enough. Could I link people to his talk and be done with my opinion? Everything he says is spot on #NB2014″. And to be honest I still stand by that so as soon as the link to his talk goes up I’ll be the first to tweet about it. Having never encountered democracy in the way Barber expressed in my personal life, amid growing up in a society where ‘democracy’ equivalated to politics and voting, not communities and understanding, I couldn’t agree with him more about how ‘democracy is a way of life, a way of living that takes into account our diversity and encourages our collaboration and imagination’. It has taken seventeen years for the identity of our society, ‘democracy’, to be presented to me in a way that makes a lasting connection that makes me proud to be part of it instead of the systematic impersonal association I’ve grown up with. And isn’t it sad that this intimate concept wasn’t instilled with me in the ritualistic system of academia where I could have grown up with a healthier outlook on the ‘intercity intercommunity world without boundaries’. 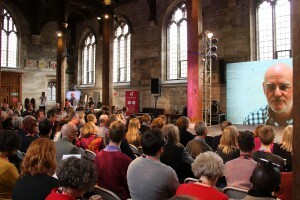 Oh no, it was a ten minute talk in the fifth session of a two day event. The chance of me being present for Dr Benjamin Barber’s talk is so slim and against me it only makes me more grateful for this innovative way of thinking. I use innovative loosely because it’s simply too ironic: I wouldn’t be surprised if the founding fathers of democracy looked upon Barber’s definition of it ‘taking into account our diversity and encourages our collaboration and imagination’ and offered up high fives all around. It’s so obviously the original meaning and intention it’s sad how it’d now be regarded as a creative new age way of thinking. But that’s just it, ‘cities oddly, though made up of communities, are all about private space’ and even though ‘communities can’t thrive without public spaces they are defined by private space’. It’s this insidious war on public spaces ‘over the thirty or forty years of market commercialization and privatization of public space’ that needs to be addressed. We need to acknowledge that there’s ‘not enough public space to do the public work culture needs”. After all, guess who’ll be the first ones to complain about a culture deficit? Us. So for the love of all things without boundaries can we inspire, support, nourish, develop and maintain our public spaces and remember they are for the people by the people, not by ourselves for ourselves. P.S. had experienced my first and only technical difficulty during Session 5: Internationalism but I love how engaged the standby punk-poet Henry Raby had me from his infectious high energy right from the get-go with his spoken word. Even with hindsight, I’m still pretty sure his slip up was staged – he pulled that one off with amazing craft. I loved his energy and I’m ashamed to say part of me was sad once I found out he was just providing mid-technical-fault entertainment for York. For the last two days I’ve been working with Watershed as one of their young journalists for No Boundaries, an open symposium on the role of culture and the arts in 21st century society. I can’t wait to share all the incredible things that I’ve been able to be a part of! Once I had reached the very top of the stairs it had been reestablished that today wasn’t a regular day at the creative hub that is Watershed. However it was only until I had seen people in full professional attire looking important with their rather large lanyards was I made aware of how immense these two days will be. 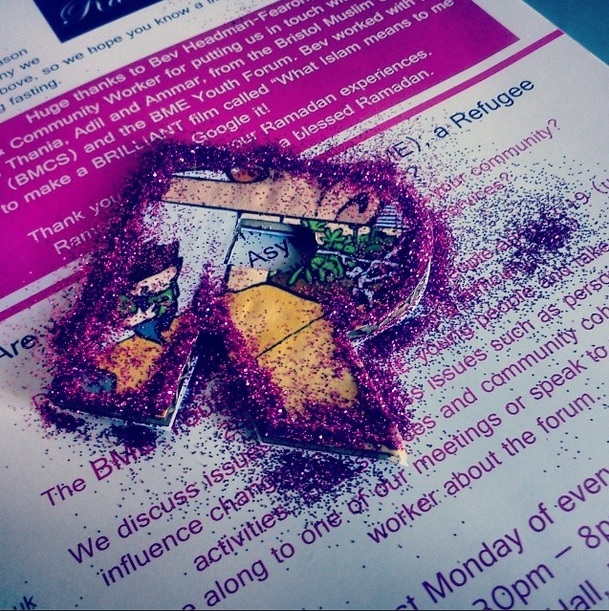 From working with people in various ways I’m naturally aware of the importance of being open-minded to whatever the day has to offer – THE FIRST TRANSITION TO YORK AND BACK IS SUCCESSFUL, HOOOORAAAY – and with that, here goes Session 1: New Potential. It’s common for people to initially relate ‘diversity’ to ethnicity but Nii Sackey evolves this into the importance of creative diversity with the mindset that there’s a collapse of it. He talks about how as an arts community we gravitate to what we know because of this idea of the uncomfortable yet what’s key to success is dialogue with different people and addressing the uncomfortable. Diversity means we have to find creative ways to make things possible and reinforces that our focus should be on using what we’ve got and engage with people from that and funds will gravitate to you. From Nii Sackey setting the scene on his talk about the importance of a shifting focus onto diversity to then being appropriately followed up by Brian Gambles’s discussion on the immense model that is the Birmingham library and how this kind of initial diverse development should be an inspiration to further projects – whoever planned the schedule should be patting their back. With 1.5million visitors in less than six months, it seems the Library of Birmingham’s initial aim to create a visitor attraction, an ‘event space with a difference’ that ‘hands over power to the users of the library’, was a success. By ‘inviting young people to say what they want from their library’ they’ve enabled long-term partnerships and encourage the involvement of many in order to develop the community in their city. I’m also personally inspired by Gamble’s anecdote of how even the construction of it had such substantial social impact it gave someone not only employment, but a home – I am hooked, lined and sinking. To me this reinstalls how as an arts community, although trying to expand from our social position, we should never fail to remember the more minor aspects of our influence. P.s. Brian Gambles’s sassy relationship with the PowerPoint is endearing, if you missed that I feel for you. Sophie Setter Jerrome rightly addresses the substantial importance of technology in our society to the point it’s now an extension of who we are. And why is this? ‘In the real world people dislike it when you monologue for ten minutes without pause’, thus a platform to ‘talk about what you’re passionate about with very few restraints’ to a ‘community of like-minded people’ has now become part of our everyday fundamentals. This doesn’t then take away from the internet being a fun hobby or a helpful tool. She discusses how it’s about utilizing the feedback you get as it’s just as important as the content itself. In this digital day and age it’s about bringing about a platform and ‘visibility to often silence groups’. Although, she states ‘we don’t see the power of online communities’, I feel, as a young person, that I do acknowledge this power, which makes me wonder: is it the older generation in our communities who currently hold the position of influence that don’t? At what point will they realize if they make their potential customers ‘so spoilt for choice they won’t have a loyalty to your brand’? Sorry, let’s first address how badass Lynsey Merrick’s introduction, “her weapon of choice is culture” is: Badass. Right, onwards and upwards. Merrick discusses this idea of a Creative Revolution and how this comes from ‘understanding where we’re coming from to understand where we’re going’. Instead of inappropriately forcing ourselves into the mainstream (defined today as ‘the current common thought of the majority’) I agree with her sentimentality that we need to create substantial opportunities to enable a lifelong journey in Creativity and Culture with people from a young age, with emphasis on a ‘lifelong journey’. ‘History tells us society will respond to need’ and it’s up to us to establish a need for the arts within our communities. As soon as we address the need to branch out we also need to maintain the creative diversity that Nii Sackey discussed in order to deepen and strengthen relationships to become present at the local grassroots level – it’s our social responsibility as an arts community. ‘Every child has the right to rest and leisure, to engage in play and recreational activities appropriate to the age of the child and to participate freely in cultural life’. What struck me the most is how simply Jude Kerry put everything I’ve always been thinking but unable to articulate: the patriarchal hierarchy in culture with children at the bottom. This notion of ‘social provisions for children is at our beckon call’, where we give children specific moments, for instance school holidays, as their opportunities to explore creatively. Kerry underlines our utmost importance should be offering a form of formal education to implement into academia. Now to me that should involve taking students out from this classroom feel to developing an opinion of the arts being just as significant as anything math’s or English has to offer. This shouldn’t mean a learning curve for people with an interests in the arts to thrive and those who are more logical in their learning style to be pushed aside, as after all we’d only be creating a backward system of what we currently have, but offering a platform where even those who find creatively interacting with learning a challenge are also encouraged to develop their potential further by regarding the uncomfortable. My first post-session conversation with Shawn Sobers, a Senior Lecturer of Photography & Media, Dr. Edson Burton and a speaker in the first session, Jude Kelly, was extremely refreshing and insightful. Our discussion was inclusive, diverging from a range of ideologies that took us onto different topics, thus following the “No Boundaries” theme of the day. As a whole the feedback was positive with a particular appreciation for the different approaches taken towards the topic of creativity. However, Burton brought up a critical point about the absence of addressing the notion of taste, where the ‘need to feel like you have to agree with common tastes and like-mindedness’ is engraved into society. With this in mind we further discussed the complex generational change of how the loss of cultural heritage and identities over time through evolving generations has resulted in society and younger generations becoming defocused and disinterested in what were cultural stimulations that sparked creativity. From this Kelly put forward the necessity that ‘if it’s a taboo in the cultural sector we should get straight into it’ and be conscious that ‘history is ran by people who have the power’. But to that I say, instead of focusing on shifting this ideology, why don’t we, the arts community, strive to be a weapon of influence? A positive force to be reckoned with in society, from diverse partnerships between organizations to academic influence, is what we need to become. I continued my search for reflection across the room before Session 2: Adaptive Resilience. The Chief Executive of Sound and Music, Susanna Eastburn discusses the ‘really important tone for the first session’ that Nii Sackey sets in his opening speech by being ‘honest and not afraid of addressing critical issues’. From being involved in the arts already she finds the No Boundaries conference to be a great occasion to develop, reconnect and create new relations to continue to be innovative in her practice as well as a particular interest in hearing from the ‘voices outside of the arts’ because of this natural concept of being ‘open in her communications’. Also, from a technology stance it was intriguing to see the initial attraction where people were ‘curious about the interconnection of technology’ and the ‘multi-connection of two different art spaces’. I’ve found this innovative way of experimenting and exploring technology further just in the format of the overall conference to be a wonderful ironic campaign of how much there is to offer and from our shear excitement of it how little we’re utilizing it. Ali Robertson, the Director of the Tobacco Factory, mentioned how beneficial the first session had been for him yet also put forward this extremely valid point of wondering and considering how much of it will actually be implemented into our art practices and organizations. Truth be told, I’m not sure either but the fact we’ve begun dialogue like this with this flare of open-mindedness is essential stepping-stones to getting to where we ought to be. My personal initial response was complete utter blankness. In hindsight it’s so utterly diverse, yet such a similar versatile store of a value, after a while I couldn’t stop thinking deeply as if ‘culture’ had always been such a profound element in my everyday life. And funnily enough, after the first Teenage Kicks research project workshop looking into what culture means to young people, I discovered that of course culture does have such intense and deep emotions attached to it because it’s part of what forms an identity. The culture – the people, activities, places – you surround yourself with are all influential in forming your identity. So yes, initially I was slightly apprehensive going to today’s afternoon workshop at Arnolfini because I didn’t consider myself to be well astute on the topic of ‘culture’. From academia alone the only form of ‘culture’ I had come across to accept as plausible was that in Religious Education or PSHE lessons about ethics, ethnicity, and religion, but this idea of culture being a form I could associate myself with never really crossed my mind. ‘Culture’ wasn’t something I did, it was something I knew about that happened somewhere else. But soon enough I discovered I had all sorts to say. The workshop was built around firstly formulating the idea of culture through word and object association activities that, for me, really helped broaden my concept of ‘culture’ to being able to simply include things dear to me. And most importantly, there was a real emphasis on there being no right or wrong answer to anything because every point was valid for the reason of it simply existing. Afterwards we were then asked to answer different questions dotted around the room, like ‘which cultural forms or activities do you engage with the most?’, with post-it notes and it was quite intriguing to notice the room verbally quieten as the mental bolts went off on one like clockwork. It was after this that we were given the chance to discuss the different ideologies and feelings of the intimate group of seven. 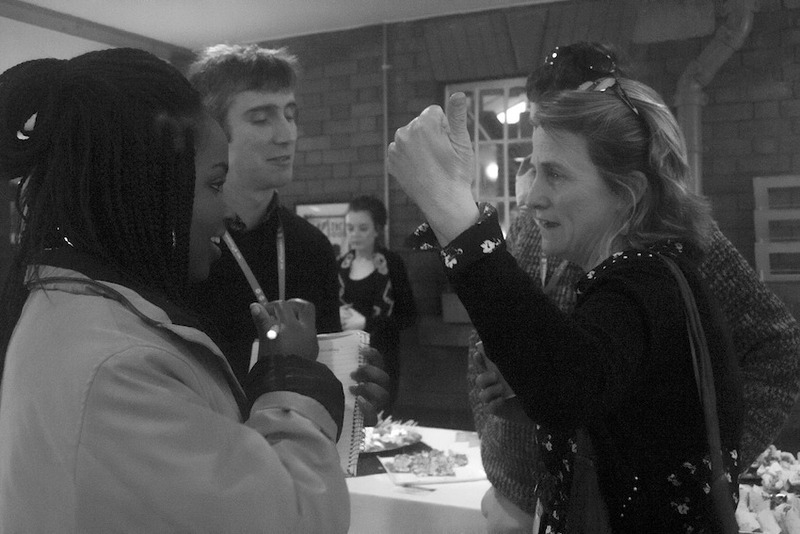 It was incredible to be given the opportunity to consider and develop differing and similar viewpoints, with this idea of ‘open-mindedness’ being key to everything. Thus, keeping this in mind we discussed everything from academia to the arts to music to fashion to celebrities to social media to communities and cities, and a lot more! And best of all it was fabulous to have different insights to varying and complementary views as it not only helped to broaden my knowledge but was a great way to ascertain my own opinions. So, I’m pretty stoked for the next session and would like to thank the ever-so-wonderful Kamina Walton for once again providing us Young Arnolfini members with continuous opportunities and Emma Pett and Dr. Helen Manchester from the University of Bristol for arranging such a brilliant interactive project to really voice young people’s opinions. 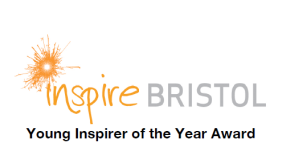 Inspire Bristol focuses on recognizing and celebrating the diverse achievements of young people in Bristol, giving these young galvanizers a chance to share their stories, whether it be overcoming challenges, helping others through volunteering or excelling in their passion. On Saturday 19th of October the mass of young people who brought their generational stereotypes into question at The Station; with their integration in all aspects of the event, also consisting of the organisation and reporting, including Watershed‘s team of young reporters; was outstanding. Especially as a young person myself, it was inspiring (oh, yes!) to see such hard work being acknowledged and celebrated by both young and old. Likewise, the genuineness of heart touched me as nominees and their supporters also applauded their opponent rival adversary equals with equal authentic respect as if they themselves had won. It was refreshing as people celebrated as one and the true focus of simply inspiring and being inspired was revered. Even from just my brief conversation with Councillor Faruk Choudhury, the Lord Mayor of Bristol, and the entrust of looking after his belongings as he dashed off to take some photos with others in our beautiful photo booth absolutely showed the absence of superiority and the state of parity in the Station. As the Storify editor of the event, consisting of organizing all the content prior, live and post the Awards from all over the web, I feel validated in saying what a success this event really was. And not the kind of success where the turn out is remarkable and the marketing team press box all clap our hands and pat our backs, but from the magnitude of respect and affection throughout the day — the success of lasting inspiration. It was almost enchanting, reading how touched and inspired people were feeling from the event alone. I could go on retelling in my own words how the event went, however, why not witness for yourself through the testimonial Tweets, photos, Vines, and posts from the web all nicely compiled together for your pleasure on our Inspire Bristol 2013 Storify page. After all this crazy weather this week it just didn’t feel right not commenting on it! This week revealed to me how I have subconsciously forgotten how bipolar English weather can be, from snow to sunshine and clear skies, and most of all… all the unwilling flashing that has occurred! As it has got to that point when my January exams are done with and I’m starting to develop this slacking, procrastination-driven attitude towards any work, I thought it was only appropriate to motivate myself. I thought it’d be nice to share my findings with others, hoping to also motivate you to keep on working hard and pursuing your desires, whatever stage you are in your life. I hope these words of wisdom are just what you need to stimulate and encourage you to stop stalling!